New methods to estimate population size using aerial survey and mark-recapture methods. Development of DNA mark-recapture methods for carnivores and ungulates using multiple data sources and spatially explicit mark-recapture methods. Much of this work has been published in peer-reviewed journals as listed in the publications section. Development of DNA-based mark-recapture methods for grizzly bear populations in British Columbia, Alberta and the United States. Since 1997, we have been involved in the development of methods to estimate population size and trend of grizzly bear populations using DNA sampling methods. Innovations to the methods have included; the development of trend estimation from multi-year sampling data, new techniques to assess closure violation, the use of multiple data sources to produce robust estimates of population size, the use of occupancy models to assess non-detection of bears, and use of spatially explicit methods to optimize study design and explore factors influencing distribution of bears on DNA sampling grids. Multiple peer-reviewed journal articles have been produced from this research as detailed in the publications page. Development of survey methods for caribou calving ground surveys. 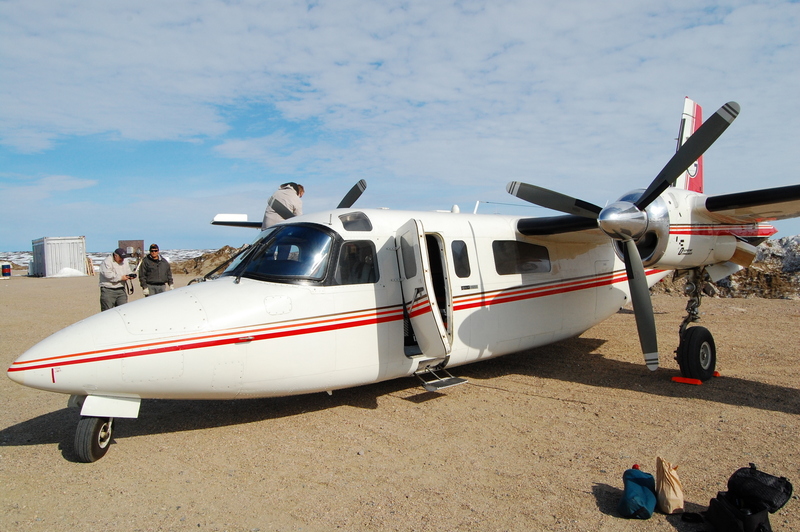 We developed a double observer sampling method to allow efficient estimation of sighting probabilities of caribou during aerial surveys of calving grounds. This work also involved the collaborative development of a tablet-based data entry method for efficient field data entry. We have participated in and provided statistical support for annual calving ground surveys since 2009. Demographic analysis of the Bathurst Caribou Herd, Wildlife and Fisheries Division, Government of NWT. Yellowknife, NWT. A model was developed to integrate various data sources to estimated demographic parameters and explore reasons for the decline of the Bathurst caribou herd. This exercise involved iterative model fitting to explore causes of population decline and stochastic modeling to forecast herd recovery scenarios. A manuscript was produced on this effort. Recent research has explored temporal (climate) and spatial factors influencing caribou demography. Development of methods to assess the zone of influence of mine sites on caribou distribution. Data from collared caribou and aerial surveys was used to develop a standardized method to estimate the influence of mines on caribou distribution. This work involved the development of a robust estimator of zone of influence that accounted for habitat selection and potential biases inherent to collared caribou data and aerial survey data. A peer-reviewed journal article was produced from this effort as listed on the publications page. Development of grizzly bear DNA mark-recapture data using post samples. Government of Nunavut, Kugluktuk, Nunavut. This study developed DNA mark-recapture sampling methods to estimate grizzly bears in arctic tundra areas. Spatially explicit mark-recapture methods were compared to traditional mark-recapture methods to assess methods to estimate density of grizzly bears without the use of radio collars. 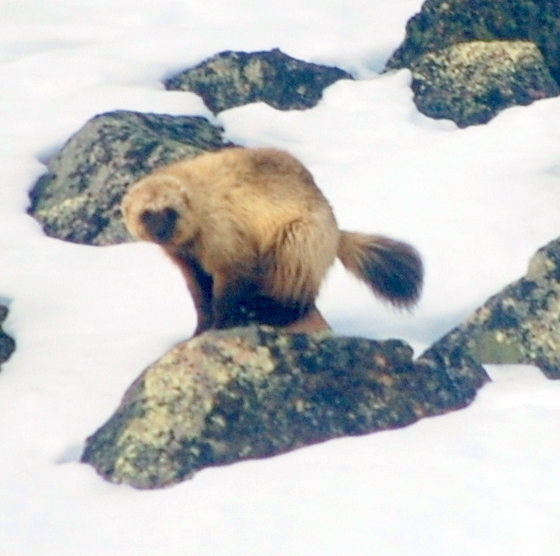 Development of DNA sampling methods for wolverines in Northwest Territories. This study developed post sampling methods to estimate wolverine populations in Northwest Territories.